"THIS IS INDIAN COUNTRY With Billy Frank Jr."
This nationally/internationally broadcast Emmy Award winning television series was created by the late, great Billy Frank, Jr. and ABC News Producer and filmmaker Michael Harris. It was one of Billy's last outreach/education projects before he passed away on May 5, 2014. Our plan is to pick up the series where Billy left off and feature his beloved son, Willie Frank III, as the host. It is fortunate that we have ample never-before-seen footage of Billy which will also be part of these films. This extraordinary legacy project pulls together some of the region’s most accomplished tribal leaders, educators, media professionals and legal advocates and historians to create a completely new paradigm of cultural and environmental advocacy, borne of the hopes and hardships of our First Nations. THIS IS INDIAN COUNTRY is a multi‐platform series of specials and short films, following Willie Frank III and the travels of his father to these spectacular and far‐flung locations, immersing in these cultures, witnessing stories and telling their own, and bringing to the Native and non‐Native worlds a deeply honest and absolutely engaging experience with Indian Country. THIS IS INDIAN COUNTRY is more than a television series. It is direct action education – it a platform-transcending, living, learning tool customized for each curricula, designed to be adaptable to all students young and old, sometimes even delivered personally to classrooms and community centers and agencies by those involved in the project. 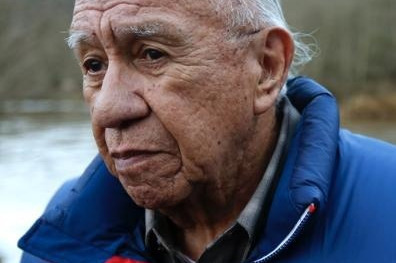 THIS IS INDIAN COUNTRY will have the honor of documenting an historic event – the reuniting of the veterans of “The Fish Wars,” the great treaty fishing rights battles of the 1960s and 70s. In a campfire gathering, elders and their families and friends will share a remarkable remembrance of two decades of direct action that ultimately led to the 1974 "Boldt Decision," upheld in U.S. Supreme Court in 1979. The day will no doubt be dynamic and revealing, both reverent and irreverent, sometimes hilarious, other times heart wrenching. Those attending and sharing stories will be surprisingly diverse, from the warriors themselves who often risked their lives and saw others give their all to continue their traditional way of living, to the volunteer litigators who had the audacity to advocate for their Indian neighbors and make it a winning case in the nation's highest courts, perhaps even some of the celebrities who lent their fame to the fight. The special will also include extended one-on-one oral history interviews with some of the Fish Warriors, as well as with friends and family of those no longer with us. Some excerpts will be played at the gathering. The Fish Wars began nearly a half-century ago. These documented stories will help ensure that the spirit of these heroic battles will endure for centuries into the future.